NASHVILLE – A fugitive on the Tennessee Bureau of Investigation’s Top Ten Most Wanted list, John O’Keefe Varner, was captured this afternoon in Nevada. 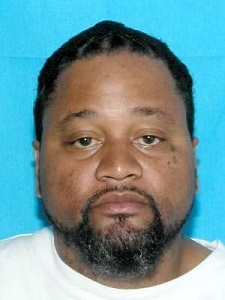 Since being placed on the Most Wanted list in February 2013, agents developed leads that Varner was in the Las Vegas area. Varner crashed the vehicle he was driving when he attempted to evade Marshals today and was arrested following a foot chase. He was apprehended by deputies of the Las Vegas U.S. Marshals Fugitive Task Force and officers with the Las Vegas Metro Police Department. The U.S. Marshals Service in Chattanooga was also instrumental in working with TBI agents in determining Varner’s whereabouts. John Varner, aka “Jake” and “Kitchen”, was wanted by the Manchester Police Department and the Tennessee Bureau of Investigation for Attempted First Degree Murder. Varner had an outstanding warrant after a February 9, 2013 incident in which he shot another man following a verbal altercation and continued shooting at the victim as he was running away. Varner is being held in the Clark County Detention Center in Las Vegas on a $500,000 bond for the Attempted First Degree Murder charge. He has also been charged with misdemeanor traffic violations related to the crash.